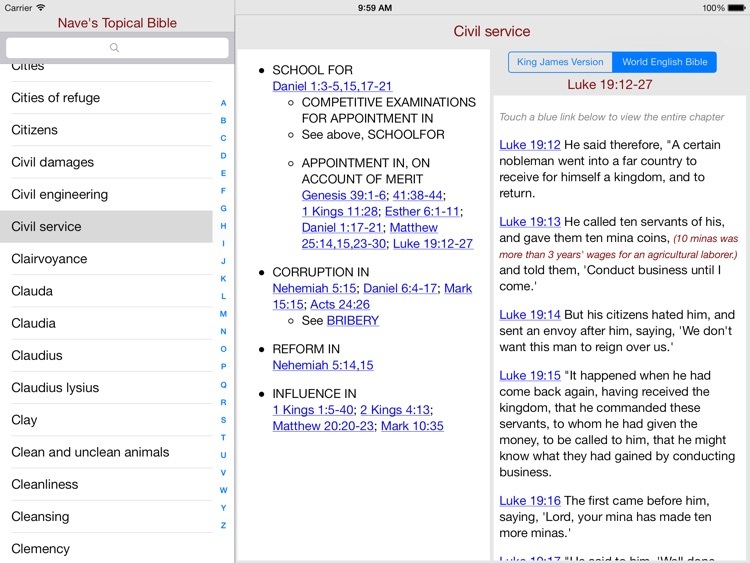 Also check out Nave's Topical Bible for the iPhone/iPod Touch, available in the App Store! 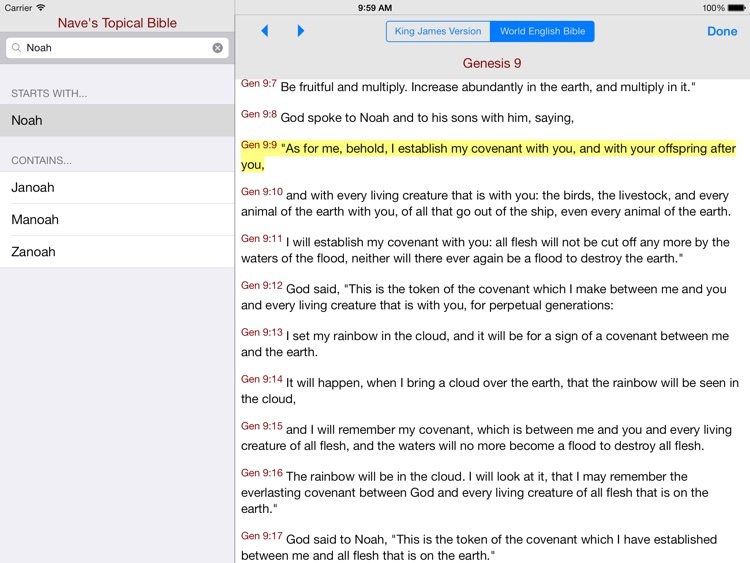 The entire Nave's Topical Bible concordance on your iPad. 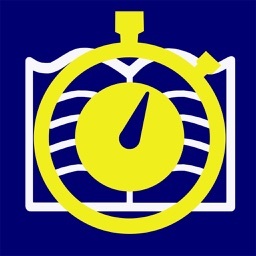 With 5,324 topics and over 65,000 verse and cross references, this is a valuable study resource at your finger tips - fast and easy to use. 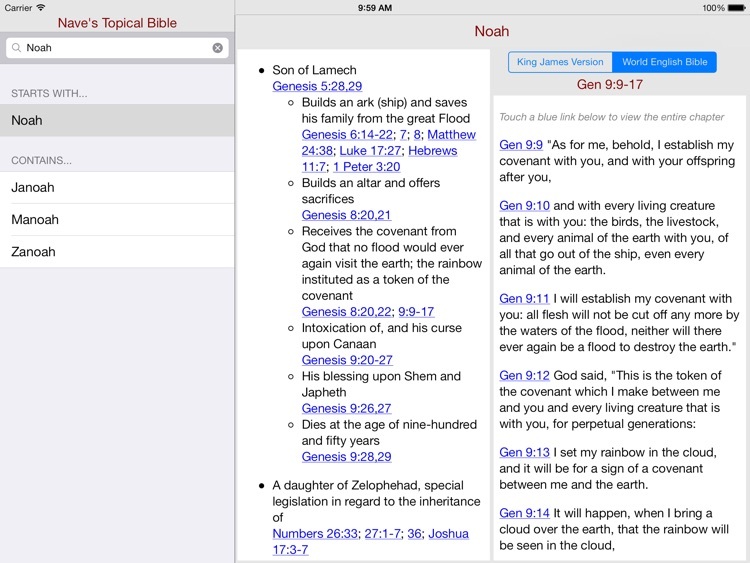 Designed to be fast and easy to use, the controls are very simple; search or scroll the topic list, pick a topic, then click on the verse references to see the scripture for each sub-topic. 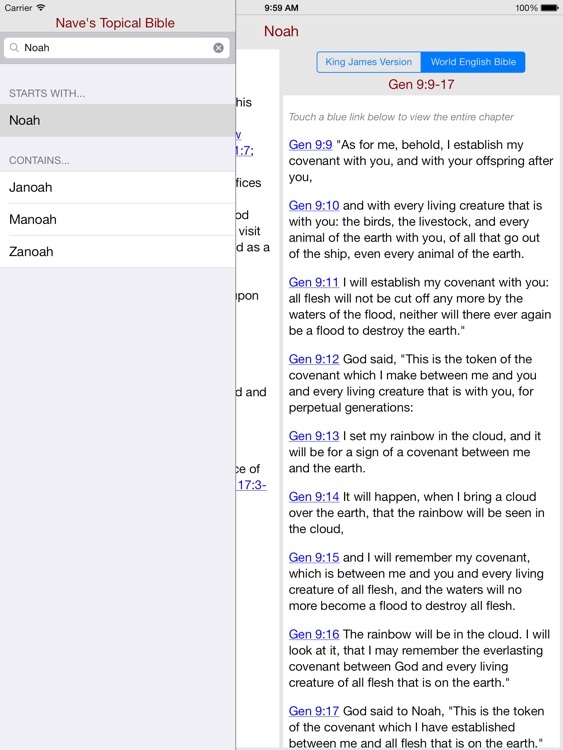 You can even click on a scripture verse to view the entire chapter so that you can better understand the full-context of the verse. 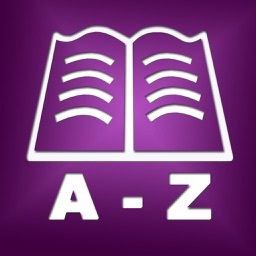 You can also move forward and backwards through chapters and you can change the font size to best suit your taste. 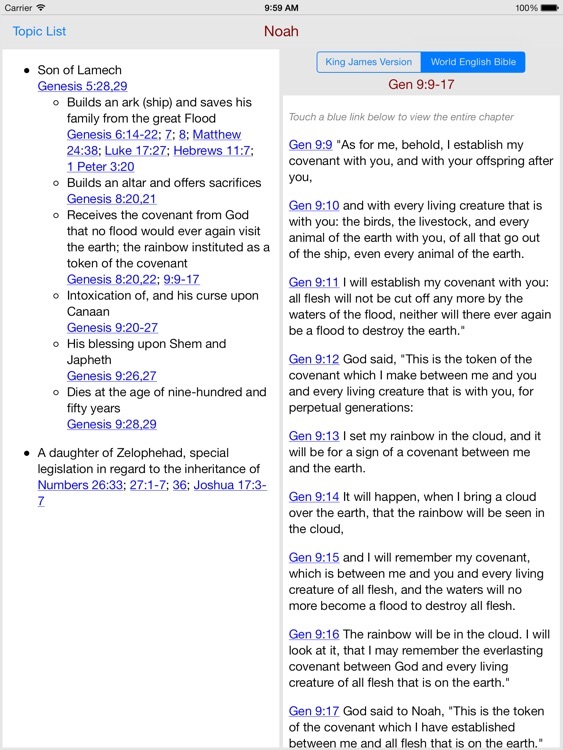 Changing bible versions is as easy as touching the appropriate button. 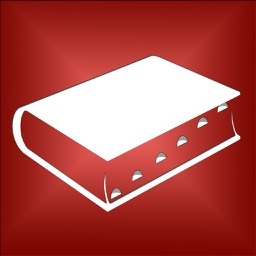 Nave's Topics were originally produced by Army Chaplain Orville J.Nave, A.M., D.D., LL.D. Published in the early 1900's, this body of work represents, as he referred to, "the result of fourteen years of delightful and untiring study of the Word of God." - Self-contained no wireless connection needed. 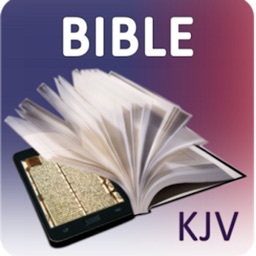 - Easily switch between the King James and World English Bible translations at a touch of a button.